While adorable, these fuzzy little creatures are not your garden's friend. They are it's deep, dark nemesis. We have a ton of little cottontail rabbits in our back yard, and while we do have a cattle dog that loves to chase them out, they still come back often. So in order to keep them away, I built a fence around the garden. 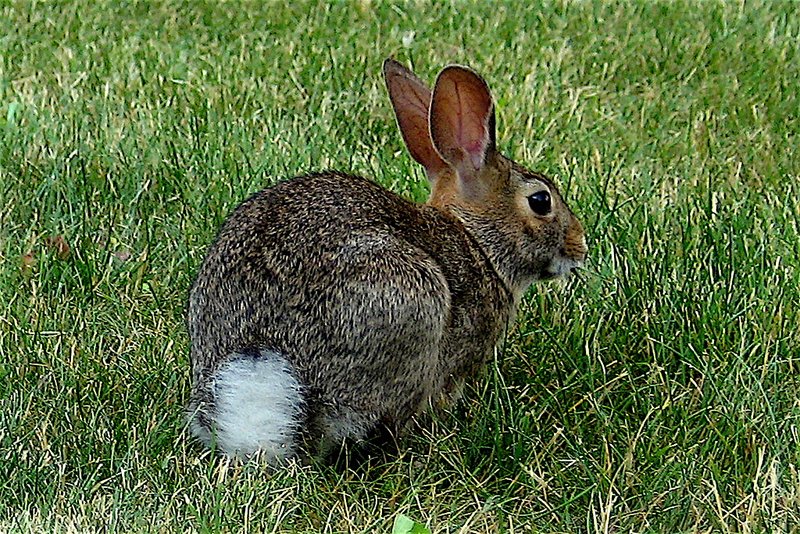 Problem is... the fence and garden walls are only 18 inches high... and cottontail bunnies can jump up to 24 inches high! These guys have ups! So, the fence may or may not work, but so far none of the sprouts appear to have been nibbled. 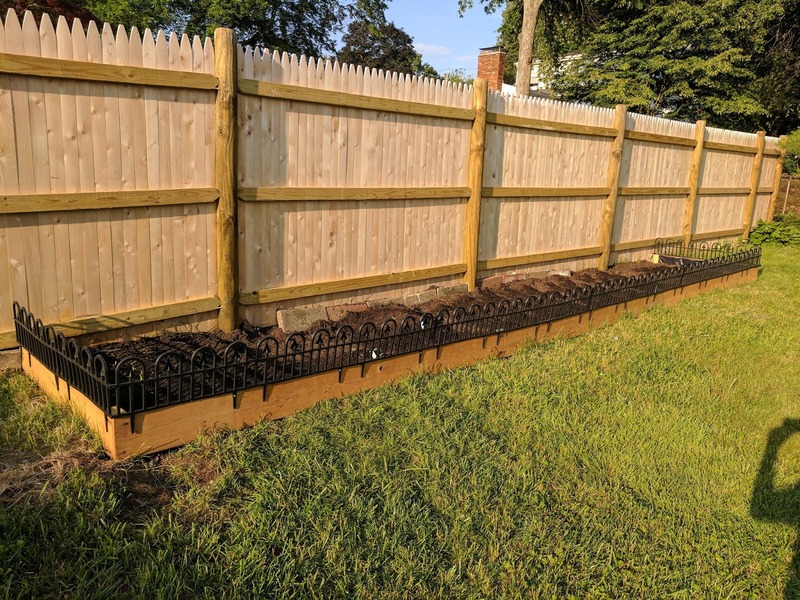 I also made sure to get the garden fence as close to the yard fence as I possibly could and tried to eliminate any gaps between each that could be exploited. But, the next exciting part is that despite the fence not QUITE being high enough, sprouts have emerged! 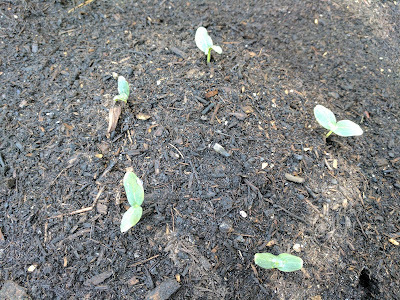 The basil, garlic, cucumber and bean plants are all showing their first leaves. 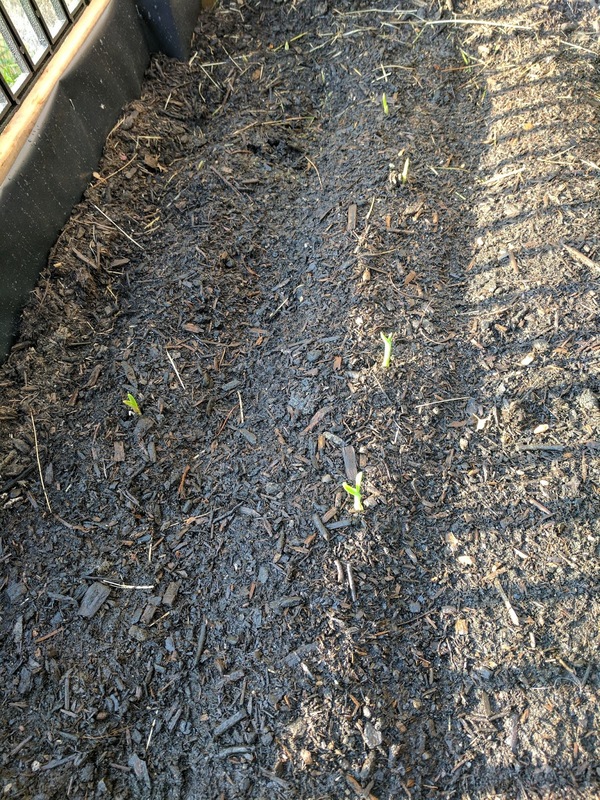 The garlic was the first to push through the ground followed by the cucumber plants and then the basil started pushing away the dirt around it. 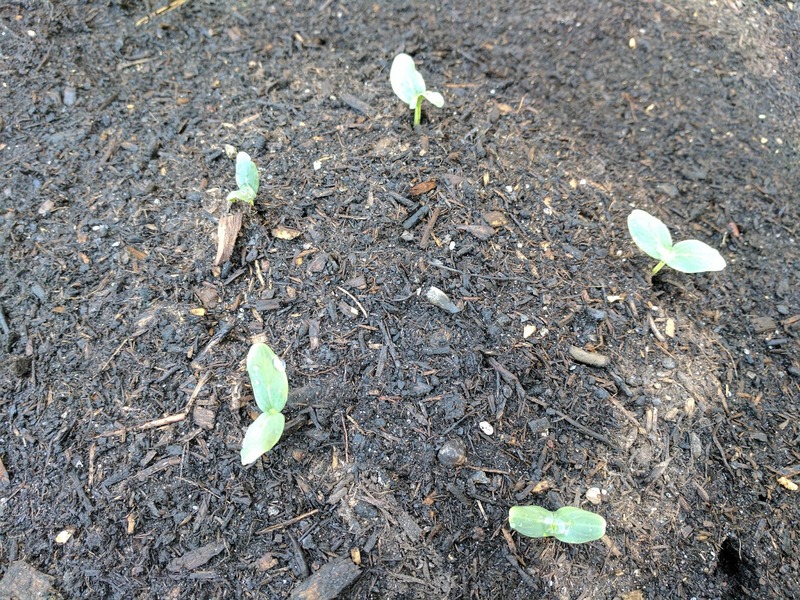 When I first noticed the cucumber sprouts a few mornings ago, I walked outside and found three sprouts on one hill and one on the back one. When I went later that night, there were 5 sprouts on the first hill, (which was all of the ones I planted) and three on the second hill. Pretty soon I'll need to start thinning the garden and pick out the best plants to survive. 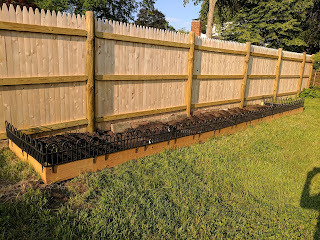 I'll need to do that pretty aggressively for the carrots and the basil since I dropped a ton of seeds in each location I planted them. 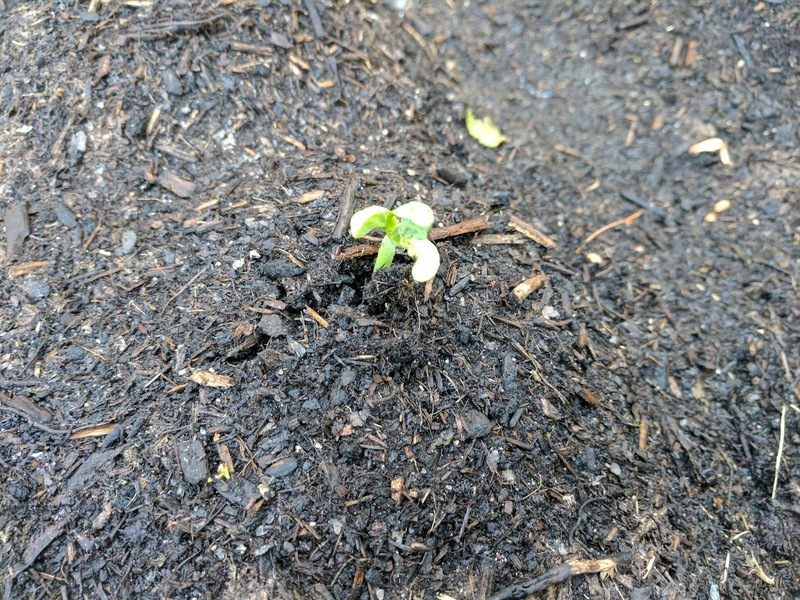 I could barely see the carrot seeds so I just poured them out in an indented line and then covered the up with a bit of dirt. My next plans include devising a way to do drip irrigation. 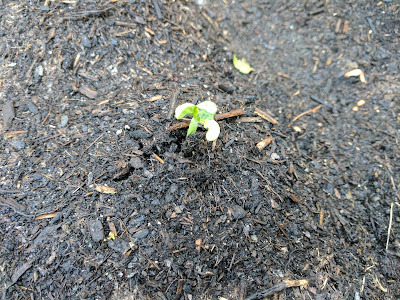 I recently got a Raspberry Pi 3 for my 30th birthday and I have been meaning to use one of the ones I already had to do a project, so a drip irrigation system with moisture sensors would be pretty awesome to try out and post the information to a web server where I can track the moisture in the soil throughout the day and after watering. Also I might need to built something to scare the bunnies away, maybe a robot owl? We'll see about that. But for now the things are all growing and its very exciting!